Product prices and availability are accurate as of 2019-04-08 20:27:58 EDT and are subject to change. Any price and availability information displayed on http://www.amazon.com/ at the time of purchase will apply to the purchase of this product. 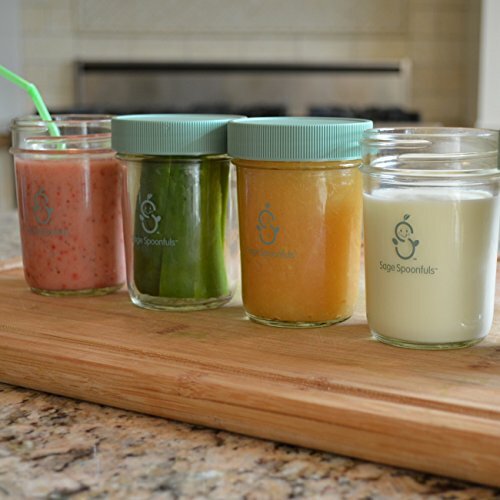 Baby Food Glass Storage Containers by Sage Spoonsful-Save time and money by preparing your homemade baby food in bulk. 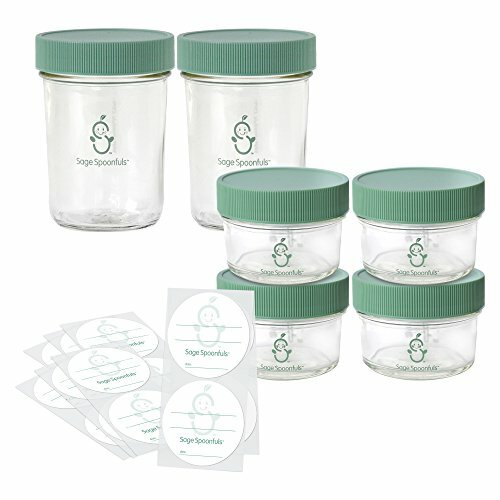 The Make In Bulk Kit by Sage Spoonfuls gives you 4 Glass 4ounce jars, 2 Glass 8ounce jars and 30 labels. 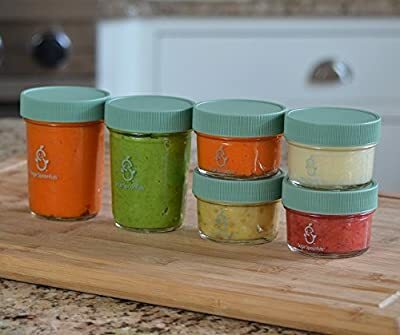 These Eco-friendly, non-toxic glass jars are perfect for storing, serving, warming and taking your homemade baby food and healthy snacks on-the-go. Jars are leak-proof and have easy to use screw on lids. Freezer safe, dishwasher safe (top rack) and microwave safe. 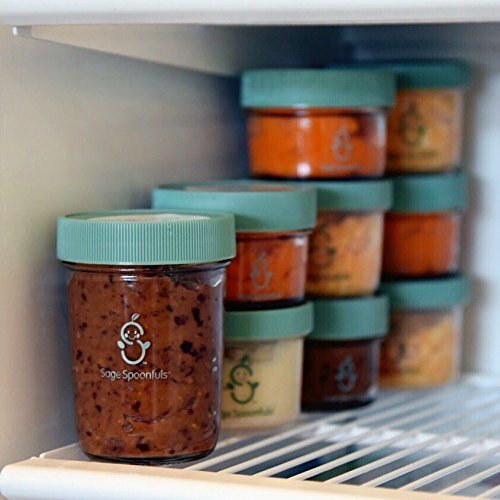 Great for storing homemade baby food, finger foods, snacks, yogurt, breast milk, powdered formula and more. The 8ounce jars make great cups for big kids. These jars also make the perfect homemade Popsicle mold. 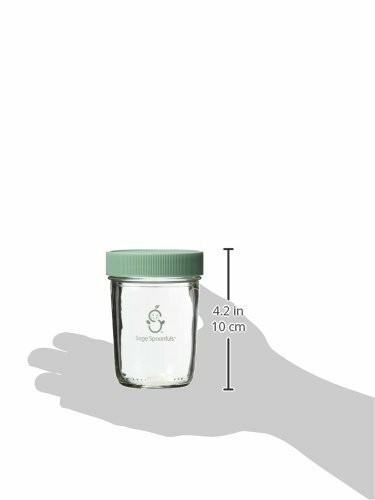 Comes with 60 easy to remove, biodegradable paper labels so you don't have to guess what food is in the jar or when it was made. BPA, Lead, Phthalate and PVC free.